Prima Equipment was established in the year 1992 by Mr. Pritesh M. Shah, a young and dynamic entrepreneur from the state of Gujarat, India. We are acknowledged as the noted Manufacturer, Exporter & Supplier of a wide range of products that includes Online and Portable Fuel Efficiency Monitor, Air Sampler, Continuous Emission Monitoring Systems (CEMS), Portable Digital Dew Point Meter, Portable Gas Monitor, Gas Detection System, Gas Analyzer, Combustible Gas Detector and Ambient Air Quality Monitoring System (CAAQM). 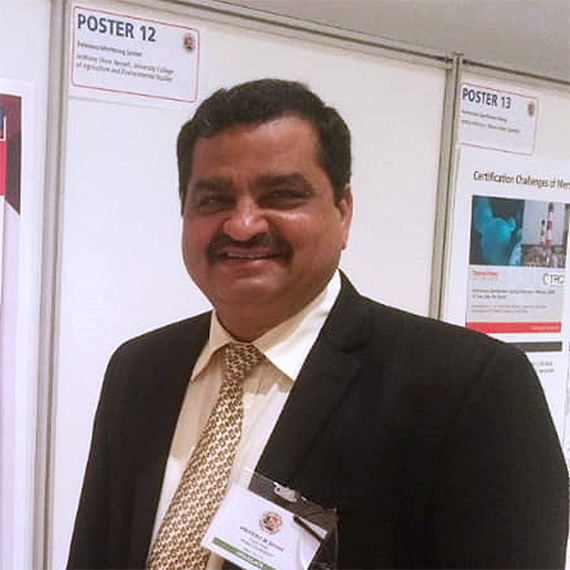 Mr. Shah’s educational background, hard work and visionary foresight helped the Company to excel in marketing of flagship brands of Environment monitoring Gas Analyzers instruments. Mr. Pritesh welcomes new technologies and “Gung-Ho” about discovery of new markets. His proactive approach towards market and customers has placed Prima Equipment in the top brass. Right from inception Prima has increased its turnover to multi folds, complimented by appreciations from customers for providing them need based solutions and efficient after sales services support. The Company’s core competencies lies in its experienced and professional team work approach. Excellence is the only acceptance for the team of Prima. "Only With a Clean Environment & Intension, Rises A Clean, Green Nation." With this Life shaking words, Mr. Pritesh shah strongly believes that there is nothing precious than "Life" in this world. For more information about Prima Equipment and the product range, please download the general catalogue from below link.